Established in 1968, the legendary reggae/rock steady London based label Trojan Records was the first label to distribute the music of Jamaica on a large scale. For many in the UK, Trojan became the first point of contact with Jamaican music and culture, and a meeting place for young people who celebrated in sound what united rather than divided them. With its re-workings of popular tracks and innovative originals, Trojan became a crucial link between two very different cultures. To celebrate the 50th anniversary of the extraordinary phenomenon that was Trojan Records, Jazz Jamaica All Stars pays tribute to some of Jamaica’s greatest artists and record labels, with The Trojan Story featuring many of the best-loved tunes of all time including Desmond Dekker’s hit Israelites, Tony Tribe's classic Red Red Wine and Harry J All Stars’ Liquidator, especially arranged by Jason Yarde. 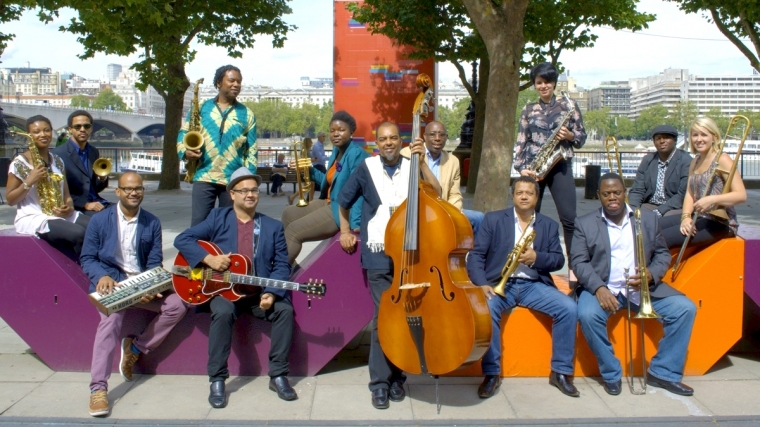 Jazz Jamaica All Stars feature an impressive line-up of established and rising stars including singers Brinsley Forde and Noel McKoy, with local Brighton choir The Dulcetones led by Mark De-Lisser (BBC The Voice UK). True reggae fans won't want to miss this!